I told you that I’d be relaying information gleaned from my attendance at Dixie University’s “Business of Art” seminar. Mostly I was frustrated and disappointed. Perhaps it is because I only attended the Saturday portion, which focused on painting and photography. The sessions about Facebook and Instagram did contain some useful information, though. But I wanted to know about marketing our art. Not much of that was discussed. I want to know how to market art because I live in a small retirement community. Well, Mesquite didn’t start out that way. In 1878 farmers came to the area hoping to make it home. But when torrential rains hit in June of 1882, dams were broken and families displaced. Finally, in 1887 Dudley Leavitt and his wives settled what was then called Mesquite Flats. They, too, were forced to leave because the Virgin River flooded them out. It wasn’t until 1897 that Mesquite was finally settled for good. Yep, this is the desert. But if you watch the national news, you know that recently we had rains that undermined I-15. The damage was so extensive that the road had to be closed and traffic rerouted. 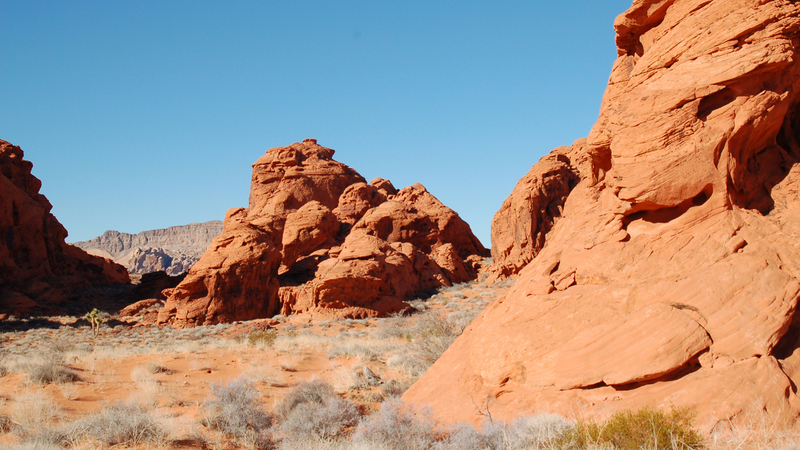 It forced drivers to drive through The Valley of Fire, a real hardship–not. That is some of the most beautiful country in the world. The following picture was taken outside Valley of Fire, but this is what you’ll find there. There are videos of the rain we had recently, so I’ll try to figure out how to insert a link for you. Even learning how to blog is an adventure, as I’ve come to realize. Meanwhile, back at the seminar. While I did get a smattering of info about Instagram, I’ll have to go onto my smart phone, set it up and then give you the lowdown. I did get a real feel for how sharing photos on Instagram can be useful to marketing your art. Then there was the Facebook portion of the day. Basically, I learned that I have to have a Facebook fan page for our art and then make albums, tag relevant network contacts, invite others into my network, share albums, boost posts, watch insights, share, use links and friend and like all relevant people that can help boost views. With that in mind, you have to remember that it is a business page, and not for personal sharing. I have created a fan page, but have lots more to learn about it. I will share that here too. For me technology is one great adventure. Next comes Christmas. I promised to make gifts for everyone, but time is getting short. I do have earrings and spirit dolls already made, so I’m somewhat ahead of the game. 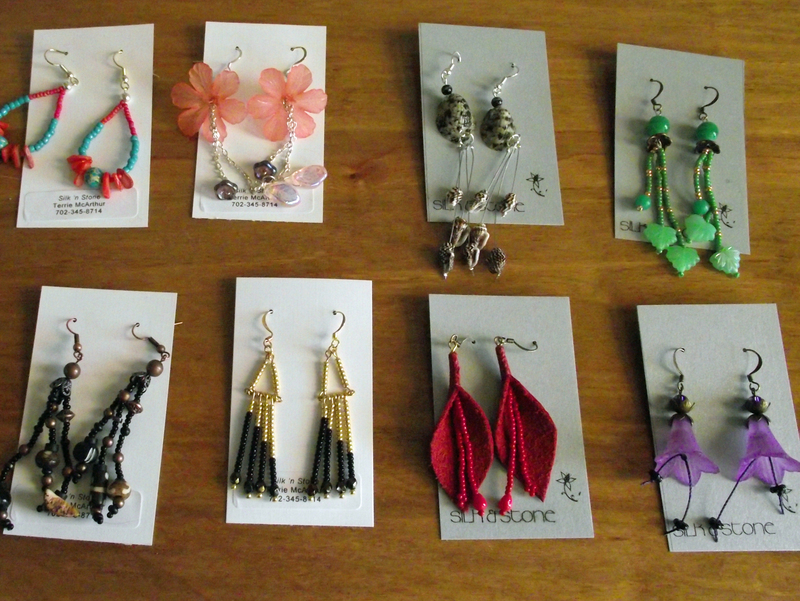 Here’s a picture of some earrings. I find I really enjoy creating them. Leather has become a new fabric for exploration. Love it. It, too, is repurposed from furniture store samples. I will next be talking about an adventure with my husband’s grandkids. Ankle biters–three and six. So, stay tuned.